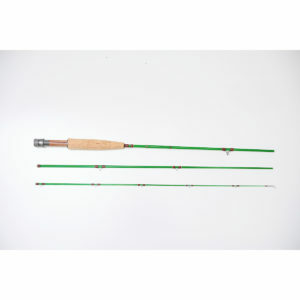 Glass Fly - Huron Mountain Rod Co.
Glass used to be cheap and heavy as used for an alternative for bamboo, it just got a bad rep in the past. Since then the glass has changed tremendously. Over the past years glass has started to make a comeback, and climbing fast. 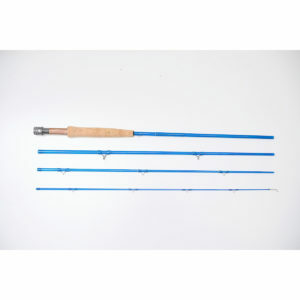 More and more companies are turning to glass because of it being the perfect material to make a fly rod with. Here at Huron Mountain Rod Co, we pride our Bittersweet glass; we used double reinforced S-Glass making it stronger and lighter than the average S-Glass. 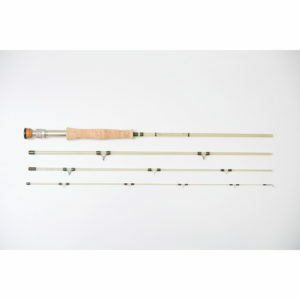 We went with glass just simply because it is stronger, lighter and more durable than graphite rods. We also want to give you a rod that can last you a lifetime and a glass rod that doesn’t fish like a wet noodle, we promise you that when you fish with bittersweet glass you will not be disappointed. This is a glass rod that truly needs to be experienced firsthand.